The mystery surrounding the death of JonBenét Ramsy has resurfaced in the public consciousness as the 20-year anniversary of her death approaches. There were many individuals involved in the investigation, from the Boulder Police Department to the prosecution, and those under the greatest spotlight were the Ramseys and the friends who were at their home when JonBenét's body was found in the basement. After she first went missing and her parents found the ransom note, they called over friends for moral support. Who was Rev. Rolland Hoverstock? He was the Ramsey's pastor who was called over that same morning. Hoverstock went to the family's home to "counsel to his parishioners," The Daily Camera reported. While there, he led everyone in the Lord's Prayer. And that's about all that is known about Hoverstock's actions that day, thanks to "pastor-penitent privilege." He has never spoken to the media about the case. However, he has made some comments that give insights into his thoughts. After JonBenét's death, the reverend stayed on at St. John's Episcopal Church in Boulder. Back in 1997, The Philadelphia Inquirer reported on part of Hoverstock's sermon. The paper reported that he discussed "dog-eat-dog world of talk shows and tabloids," calling them a "dark... poisonous pocket of evil." He told the congregation not to judge too quickly, telling them, "Do not live in that dog-eat-dog world." Hoverstock died in October 2015 from cancer. Originally from Buffalo, New York, he went west to the University of Colorado for college and then spent time with an AmeriCorps VISTA program in Florida trying to fight poverty, according to his obituary. Then he moved back to Colorado, got married and opened a bike shop in downtown Boulder. He became a minister while still running his shop, which was called The Spoke. It is thought Hoverstock testified for a grand jury in Boulder after the police investigation fell apart. That same grand jury recommended to indict John and Patsy Ramsey, though the couple denied any involvement in the murder. 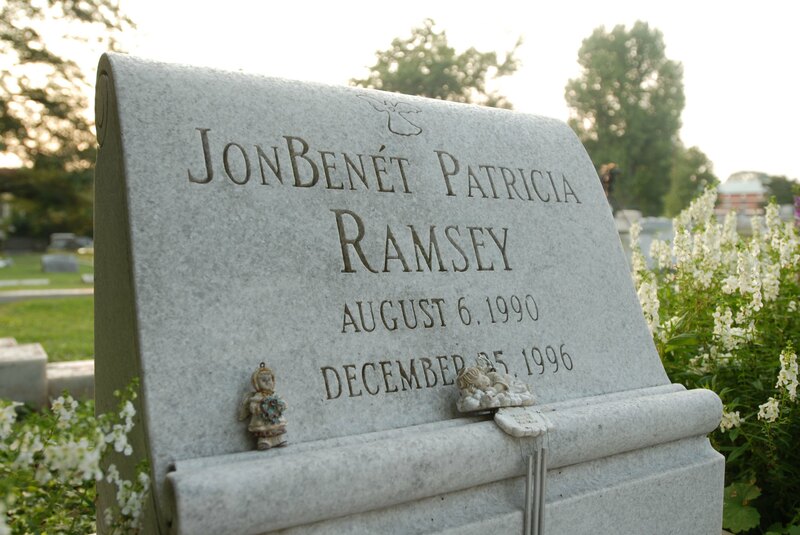 Years later, the Boulder District Attorney wrote a letter to the Ramsey family apologizing for the attention they've received and revealing that DNA evidence confirmed that they did not kill JonBenét. Now the Boulder Police Department has issued a video statement claiming that the Ramsey case is still an open investigation with investigators still following leads and taking tips from the community. Also, both John and Burke Ramsey have given interviews that will be airing on A&E and The Dr. Phil Show.